Bihar’s antiquity is evident from its name, which is derived from the ancient word “VIHARA” (monastery). It is indeed a land of monasteries. Hindu, Buddhist, Jain, Muslim and Sikh shrines abound in this ancient land where India’s first major empires rose and fell. Where the ruins of the worlds’ earliest university slumbers in the void of time. The passage of Ganga, flowing wide and deep enrich the plains of Bihar before distributing in Bengal’s deltoid zone. 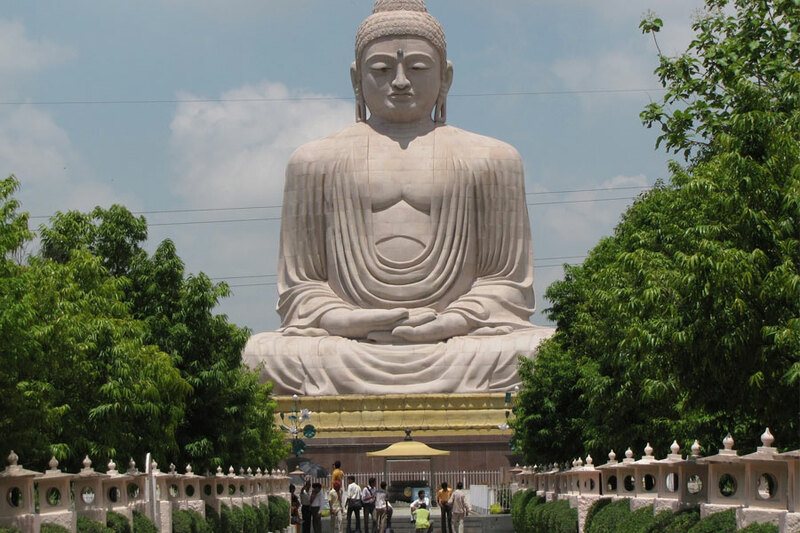 Among all Indian states, Bihar is the one most intimately linked to the Buddha’s life, resulting in a trail of pilgrimages which have come to be known as the Buddhist circuit. 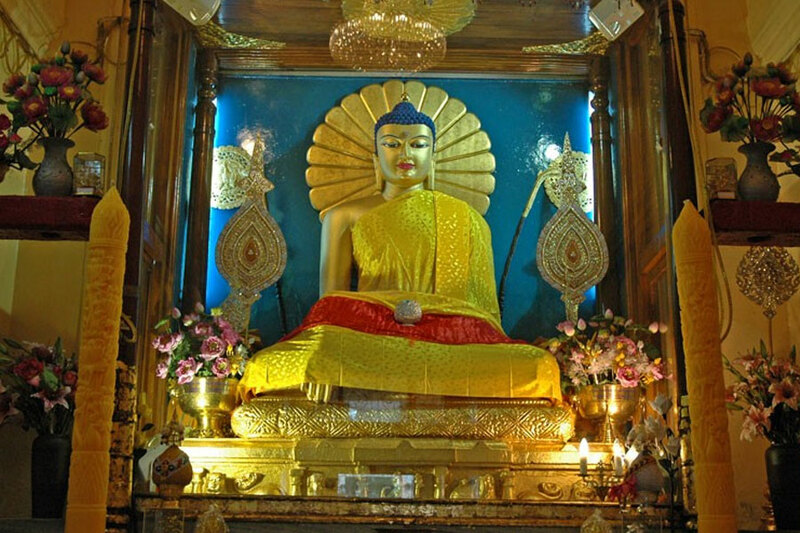 Near the holy city of Gaya, the Buddha attained enlightenment. The tree that had sheltered him came to be known as the Bodhi tree and the place Bodhgaya. 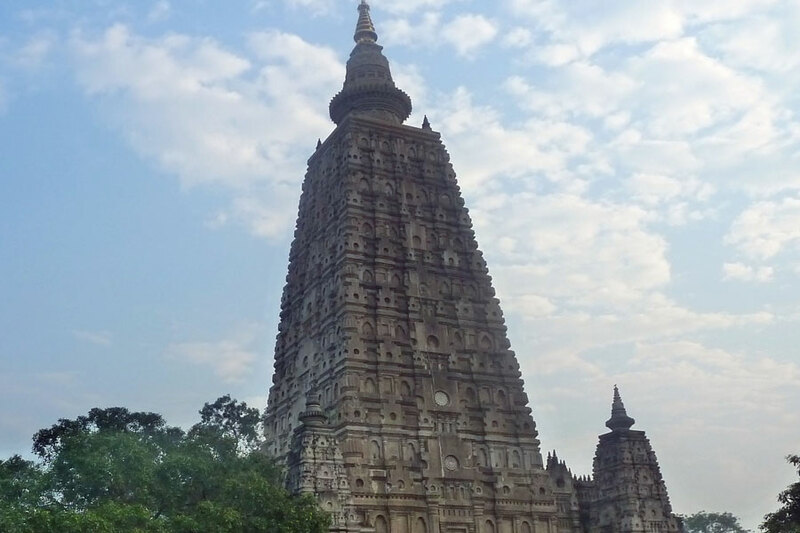 Today Bodhgaya, an important place of pilgrimage, has a number of monasteries, some of them established by Buddhists of Japan, Thailand, Myanmar, Sri Lanka etc. Vaishali was one of the earliest republics in the world (6th century BC).It was here that Buddha preached his last sermon. Vaishali, birthplace of Lord Mahavira is also Sacred to Jains. Patna once called Patliputra the capital of Bihar, is among the world’s oldest capital cities with unbroken history of many centuries as imperial metropolis of the Mauryas and Guptas imperial dynasties. Rajgir, 19 kms from Nalanda, was the ancient capital of Magadha Empire. Lord Buddha often visited the monastery here to meditate and to preach. Rajgir is also a place sacred to the Jains, since Lord Mahavira spent many years here. In Pawapuri, or Apapuri, 38 kilometres from Rajgir and 90 kilometres from Patna, all sins end for a devout Jain. Lord Mahavira, the final tirthankar and founder of Jainism, breathed his last at this place. 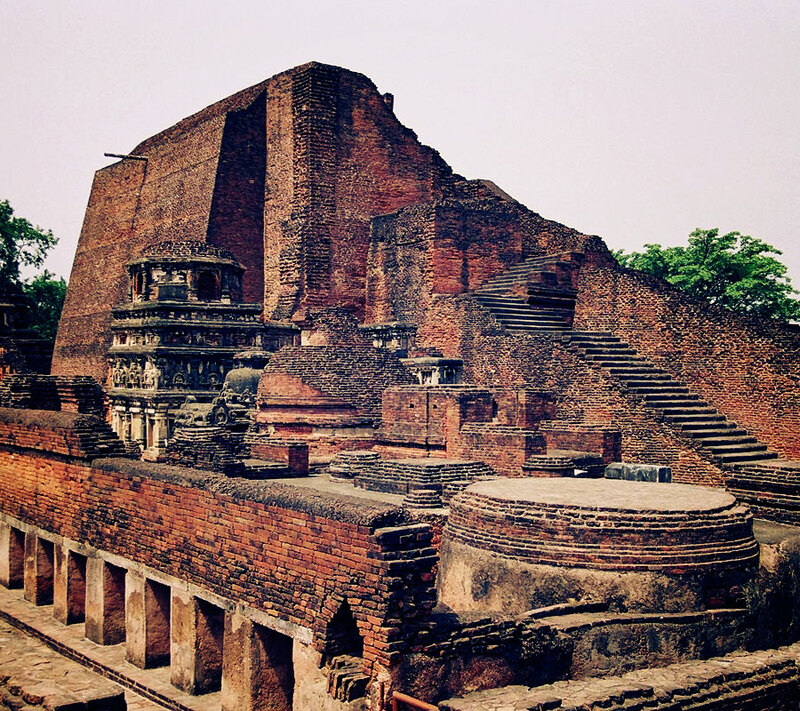 A great centre of Buddhist learning, Nalanda came into prominence around the 5th century BC and was a flourishing university town with over ten thousand scholars and an extensive library. 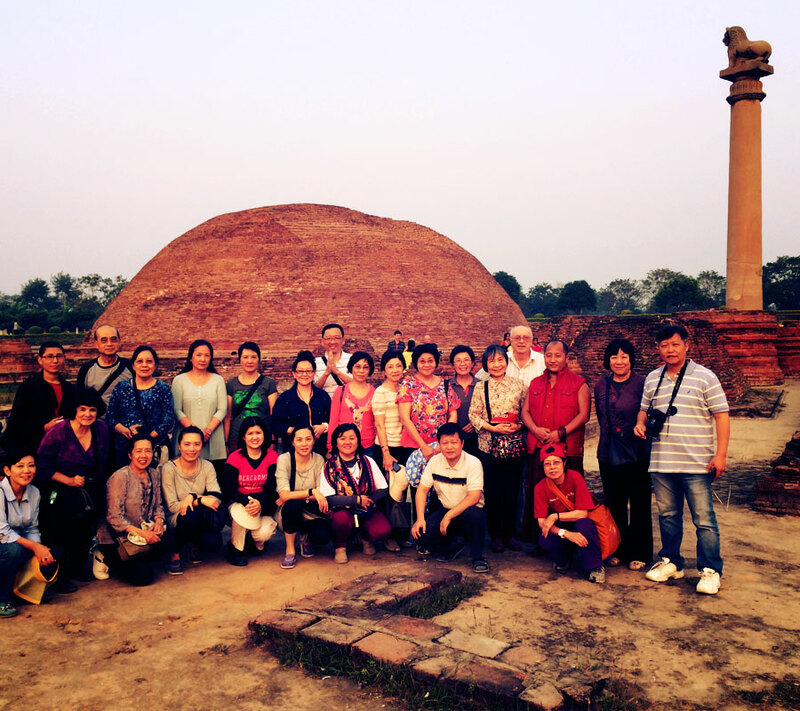 This Stupa is in fact one of the many memorable stupa remarkable event in the life of Buddha. Kesaria has a lofty brick mound capped by a solid brick tower of considerable size, which it self is the remain of a Buddhist Stupa. It is the highest Stupa found in the country with a height of about 104 ft from the base. 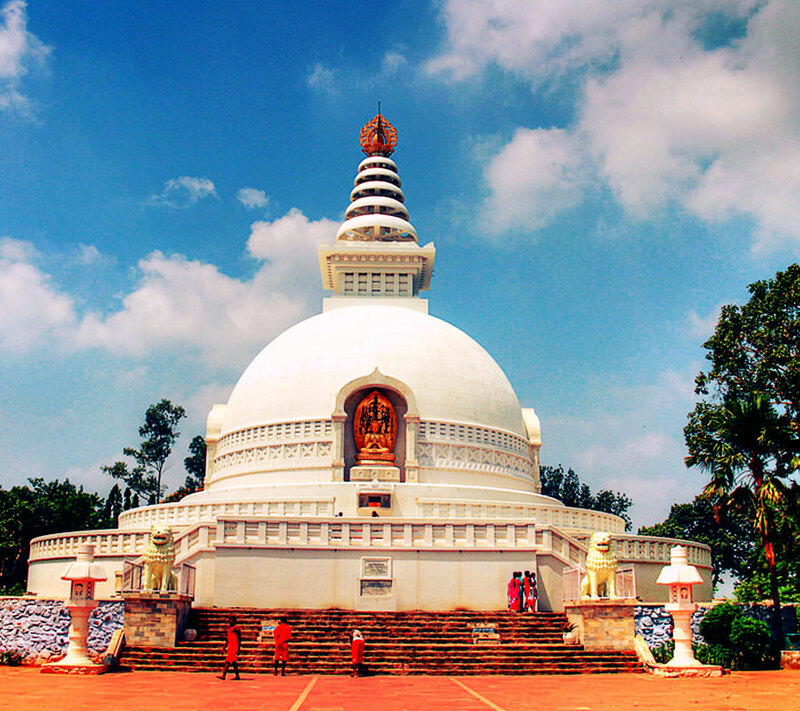 Kesaria: This Stupa is in fact one of the many memorable stupa remarkable event in the life of Buddha. 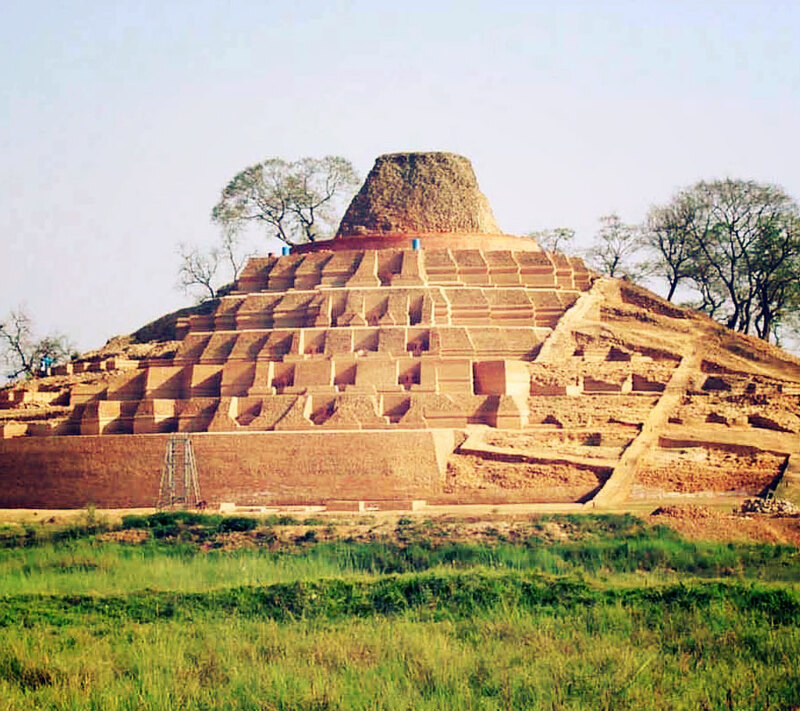 Kesaria has a lofty brick mound capped by a solid brick tower of considerable size, which it self is the remain of a Buddhist Stupa. The mound is a ruin with a diameter of 68 feet at its base and a total height of 5½ ft. originally it was crowned by a pinnacle which must have stood 80 or 90 ft above the ground. General Cunningham dated this monument to AD 200 to 700, and held that it was built upon the ruins of a much older and larger Stupa. It is the highest Stupa found in the country with a height of about 104 ft from the base. Tar (Bhojpur) : Situated about 10 kms North West of Piro the village derives its name from Tarka, a she demon killed by lord Rama. There is an old tank in the village that is said to be the wrestling ground of Tarka. Ahirauli (Buxur) : Situated about 5 kms north-east of Buxur, this village has a temple of Devi Ahilya. According to the local tradition it dates back to the pre historic ages. Legend is that, Ahilya was transformed into stone as a result of curse of her husband, Rishi Gautam and she could be redeemed only when lord Ram Chandra visited her place. Ram Rekha Ghat (Buxur) : According to the legends, lord Ram Chandra and his younger brother Lakshman with their teacher Rishi Vishwamitra had crossed the Ganga here on their way to Janakpur where he later took part in the Sita swayambar (the public ceremony of Sita’s Marriage). Pretshila Hills (Gaya) : About 8 kms North-West of Gaya, the 873 feet high Pretshila Hills is situated. The literal meaning is the Hill of ghosts and it is sacred to yam, the Hindu god of hell and forms one of the sacred places of pilgrimage. On the top of the hill is a small temple, appropriately dedicated to Yam (The God of death). Giddheshwar (Jamui) : According to local legends, the epic fight between the vulture Jatayu and the demon Ravan took place here on the hill that is situated about 13 km south of Jamui, while the latter was abducting Sita. There is a temple of Lord Shiva, which draws big crowds on the occasion of Shivratri and Maghi Purnima. Kako (Jehanabad) : Situated 10 km each of Jehanabad Railway station. According to a local legends, Lord Ramchandra’s step mother, Rani Kekaiy of Ayodhya lived here for some time and the village took its name after her. The village has also a tomb of Hazarat Bibi, Kamal Sahiba; a great muslim lady saint. I is said that this lady was the aunt of Haryat Makdum Saheb of Bihar Sharif and Possessed devine powers. Singheshwar Asthan (Madhepura) : Singheshwar Sthan has been the abode of Lord Siva from the ancient times. Though there are various stories about the establishment of the Singheshwar temple, the one that is widely and popularly accepted, relates to Rishi Shringi. In ancient time Singheshwar was situated on the bank of the river Kosi and was surrounded by dense and lush green forest. It was ideally situated for ‘Tapasya’ (Meditation) and it is here that Vibhandak Rishi along with is son Rishi Shringi devoted all his time in deep meditation. Phullahar (Madhubani) : The village is situated about 6 kms West of the block headquarters at Umgaon under Harlakhi P.S. The village countains the temple of Goddess Girija. It is said that Sita, the daughter of king Janak, used to come here every day to worship the Goddess. Lord Rama saw her for the first time at this place. Sita Kund (Munger) : A village about 6 Kms East of the Munger town contains a hot spring known as the Sita Kund spring, which is so called after the well known episode of Ramayan. Ram, after rescuing his wife Sita from the demon king Ravan, suspected that she could not have maintained her honour intact, and Sita, to prove her chastity, agreed to enter a blazing fire. She came out of the fiery or deal unscathed, and imparted to the pool in which she bathed, the heat she had absorbed from the fire. The hot spring is now enclosed in a masonry reservoir and is visited by large number of pilgrims, specially at the full moon of Magh. Ramchura (Vaishali) : The place is situated in Vaishali block, where a fair is held every year on Ram Nawami day. the local tradition has it that lord Ram Chandra had a stopover here for a bath on his way to Janakpur. There are some marks on stone, which are said to be his footprints. Ahilya Asthan (Darbhanga) : The village is situated about 24 kms North West of Darbhanga and about 4 kms from Kamtaul Railway Station. It is known for the temple of Ahilya Asthan, which is associated with the well known legend of the sage Gautam and his wife Ahilya as told in the epics and Puranas. Inside the Shrine is a flat stone said to contain the foot prints of Sita, wife of Ram, as the main object of worship. Janki Temple (Sitamarhi) : This temple is traditionally considered to be the birth place of Sita or Janki, the daughter of king Janak. This temple, however seems to have been built about 100 years ago. Janki Temple (Punausa) : This temple is about 5 kms South West of Sitamarhi. It also Stakes the same claim to be the birth place of Sita and is considered to be sacred place where people go for a pilgrimage. Haleshwar Asthan (Sitamarhi) : This is an ancient temple of Lord Shiva about 3 kms North-West of Sitamarhi. According to myths the King of Videha on the occasion of Putrayesthi Yojna, founded this temple. Panth Pakar (Sitamarhi) : An age old banyan… tree still stands here about 8 kms North-East of Sitamarhi. 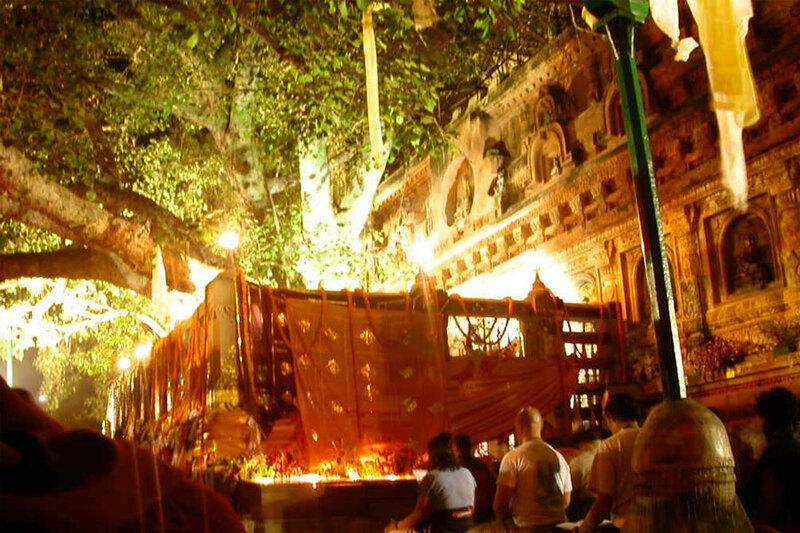 It is said that when Sita left Janakpur in a Paanquin for Ayodhya after the marriage to Shri Ram, she was given rest for a while under this very banyan tree. Chanki Garh (West Champaran) : Also known as Janaki Garh, this village is situated about 9 kms East of Ram Nagar Railway Station. There is a large mound in the eastern part of the village. It is a mass of solid brickwork and is 90’ high. It was probably originally a Fort and the remains of fortification can still be seen. The local tradition asserts that it was a Fort of king Janak. Valmiki Nagar (West Champaran) : This is a village on the Indo Nepal border 42 kms North-West of Bagaha to which it is connected by a metalled road. A barrage has been constructed here on the Gandak river for the purpose of irrigation. Besides an old Shiva temple constructed by the Bettiah Raj, there are also ancient temple of Nara Devi and Gauri Shankar at Valmiki Nagar. There is a Valmiki Ashram, which is said to be the place where Maharshi Valmiki was living. On the occasion of Makar Sankranti every year a fair is held on the bank of River Gandak. Takhat Sri Harimandir Ji, Patna Sahib : Takht Sri Patna Sahib is a Gurdwara (Sikh place of worship) in the neighborhood of Patna Sahib, Bihar. It was built in remembrance of the birthplace of Guru Gobind Singh Ji, the tenth Guru of the Sikhs on 22 December 1666. It was built by Maharaja Ranjit Singh (1780-1839). Gobind Singh, the tenth Sikh Guru, was born in Patna, Bihar, in 1666. He also spent his early years here before moving to Anandpur. Patna was also visited by Guru Nanak and Guru Tegh Bahadur at different points of time. Mahavir, the exponent of Jainism was born in Bihar. His teachings were greatly appreciated in North India, He died at Pawapuri in Bihar, and left behind a legacy of thought and some beautiful temples. These temples are popular as famous pilgrim spots and as works of great architecture. Vasokund (Vaishali): According to a Jain tradition Lord Mahavira, the last of the Tirthankaras, was born at Kundagama and at Vaniyagrama was his residence, both the places being part of or near Vaishali while the modern village of Bania can be taken as representing the site of ancient Vaniagrama. The location of Kundagramma is identified with the modern village of Vasokund, about 2 kms northeast of the gadh mound. Bisram (Bhojpur): It is said that Lord Mahavira, the 24th Jain Tirthankara, took rest for some time at this place during his wanderings, hence this place is called Bisram (rest). The Jains from every part of the country visit this place throughout the year. The Jain temple here contains an idol of Lord Mahavira. This place is in the Arrah town where there are another 45 Jain temples. Masadh (Bhojpur): This village is situated about 9 kms. west or rather southwest of Arrah town. There is an ancient Jain temple dedicated to Parshwanth and contains eight images, some of which belong to earlier dates as seen from the inscriptions on each of them. The temple was completed in the year 1819 A.D. white some of the eight images belong to 1386 A.D. as per archaeological records. Mandar Hill (Banka): It is about 5-kms north of Baunsi and about 48 –kms south of the Bhagalpur town. The hill is about 700-ft high that consists of a huge mass of granite overgrown near the summit with low jungle. This hill is extremely sacred in the Hindu mythology. The skand Purana associates Mandar or Sumeru with the famous epic or Puranic story of the Amrita-Manthana or the churning of the ocean. The story goes that the Gods and the Demons (Devas and Asuras) with a view to secure amrita (the divine liquor), which is believed to confer immortality, used this Mandara or Sumeru Mountain as the churning stick or rod. The great mythical serpent, Vasuki, was used as the rope. Due to this mythical association, the hill had assumed considerable religious significance and had been a place of pilgrimage up till now. On the summit of the hill two jain temples are situated. Large number of Jain pilgrims comes here to worship Lord Vasupujyanatha. Champanagar (Bhagalpur): The City of Champa, as capital of the ancient kingdom of Anga, is found frequently mentioned in ancient Indian literature. King Karna of the Mahabharata is said to have ruled from here. A western suburb of the Bhagalpur town is at present known as Champanagar, near which there is a large hillock or flat-topped mound, called as Karnagadh, which should have otherwise been attributed to King Karna of the great epic. Champanagar is considered by the Jains as one of their sacred places of pilgrimage. In the Kalpa-Sutra Champa is mentioned as one of the places where the last Tirthankara Mahavira stayed for three rainy seasons in the course of his religious wanderings. According to the prevalent Jain tradition it is believed that the adjacent hills. The nearest are about 5-kms of Lachhaur and are marked Muth Boodhroop and Muth Purusnath. They are two small shrines picturesquely situated in the valley between two parallel ranges of hills. In each of these shrines is a small statue of Mahavira, one of which dates back to Sambat 1505, while the other appears to be older. The temples themselves, however, are of recent date. Some Jains hold Lachhaur to be the birthplace of Mahavir Swamin, the 24th Tirthankara of the Jains. Kundghat (Jamui): It is about 6 kms from Lachhaur. There is a temple of Kundeshwari Devi, which is held sacred by the Jains. Gonavajee (Nawada): Gonava village is situated about one kilometer north of Nawada on Patna-Ranchi road. It is a place of pilgrimage for the Jains of both sects. The Digambar Jain temple is situated by the side of main road while the Swetambar Jain temple is behind it. The Digambar Jain temple built in 1925 is quite beautiful. It has a large marble idol of Lord Mahavira. The Swetambar Jain temple was built some 800 years ago and has an impressive approach road. The temple has got a marble idol of Lord Mahavira flanked by a granite idol of Sudharmaji and idol of Panch Parmesthi made of Asthdhatu. The temple is famous and known as place of Nirvana of Lord Mahavira’s disciple, Gautam Gandharva. Kundalpur (Nalanda): Close to the ruins of ancient Nalanda University a new beautiful Jaisalmer stone temple stands at Kundalpur, which houses statues of Lord Mahavira, Adinath Swami and Gautam Gandharva. This place is believed tobe the birth place of Gautam Gandharva, the first disciple of Lord Mahavira. There is also an ancient Jain temple here, which is centuries old. Jalmandir, Pawapuri (Nalanda): Pawapuri, which is also known as Apapapuri, the sinless town, is a very sacred Jain pilgrimage. According to belief, it was here that Lord Mahavira, the greatest propounder of Jainism, attained Nirvana. Hundred of thousands of his disciples and devotees took away the ashes after his cremation here. The rush was so great that even the soils of the area were taken away and it became a tank. Later on, a beautiful temple of white marble was constructed in the center of the tank to commemorate the Lord’s Nirvana. This temple is known as the Jalmandir. Samosaran, Pawapuri (Nalanda): A beautiful temple commemorates the place where Lord Mahavira sat to teach his disciples. 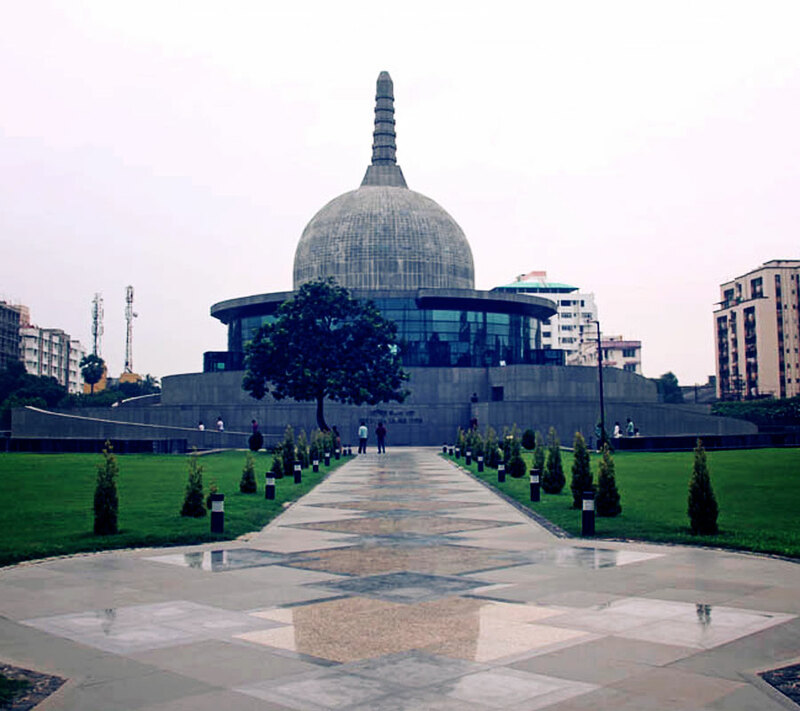 The temple is a circular work of white marble, rising by low steps into several concentric terraces with a beehive shaped shrine on the top containing the footprints of Lord Mahavira. Sone Bhandar, Rajgir (Nalanda): There are two rock-cut caves, adjacent to each other, excavated on the southern face of the Vaibhara hill, facing the western portion of the valley. Of them the western one is locally called as Son-Bhandar- i.e. – Treasury of gold. Local belief is that the piece of rock within this space is an ancient wedge blocking up the passage to the treasury of gold in the body of the hill. This cave consists of a large chamber, 34’ x 17’ and is provided with a doorway and a window. The roof is of arched shape with a rise of 4’10”. These are exactly the architectural features, quite characteristically and rarely to be found only at the barabar caves. The most interesting fact is that the cave is highly polished inside. A number of short epigraphs can also be traced on the inner walls, the doorjambs and on the front wall. The adjacent cave is in a ruinous state. It consists of a rock-cut chamber, part of its front having fallen. It has once a built-up verandah in its front as seen in the existing traces of a platform and courtyard built of bricks. Inside, on the southern wall of the cave, are six small figures of Jaina Tirthankaras carved in relief and representing Padmaprabha, Parsvanatha and Mahavira. Both the caves were excavated at one and the same time, i.e., in 3rd or 4th century A.D. as indicated by the inscriptions of Vairadeva. Veerayatan, Rajgir (Nalanda): Situated at the foot of the Vaibhargiri hill, Veerayatan is a unique center for Education, Social services and Jain Religion. Rashtra Sant Parajyan Murtee Upadhyaya Shriamarmuni Jee Maharaj, on the occasion of 2500th Nirvaan Mahotsava of Lord Mahavira, established it. A museum is here that contains many beautiful artifacts depicting the life and preachings of Lord Mahavira, the 24th Jain Tirthankara. Kamaldah (Patna): In the area called Kamaldah, near the Gulzarbagh railway station is a high mound of brick ruins on which stand two Jain temples. 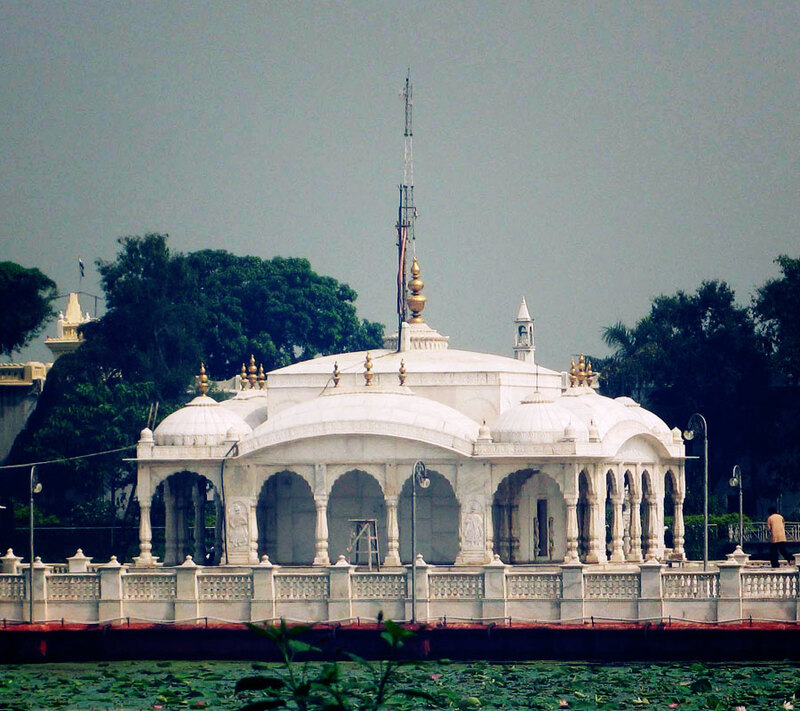 There is mausoleum of Jain saint Sthoolhdbhadra and the temple of Sudarshan Swami. On one of them is an inscription dated V.S. 1848 (A.D. 1792). Khankah Mujibia (Phulwari Sharif, Patna): Nearly 7 kms from Patna Railway Station, Phulwari Sharif is an important Islamic pilgrimage. It has been always a favorite abode of Sufi saints in various times. Hazrat Pir Muzibullah Quadri was one of those in the 18th Century. The Khankah Muzibia, founded by him at Phulwari Sharif is called the Bari Khankah. An old Madarsa here has been the most important centre for teaching of Islamic philosophy since its establishment. Sacred hairs of the beard of Paigamber Hazrat Muhammad Saheb are preserved here in Banri Khankah that attracts throngs of his followers and a big mela is held every year. There is also an archeologically important and worth seeing ancient Sangi Masjid (mosque) built of red stones at Phulwari Sharif. It was built by the Mughal Emperor Humayun. Chhoti Dargah (Bihar Sharif, Nalanda): Dargah of Makhdum Hazrat Sultan Ahmed Charampose, Bihar Sharif (Nalanda). The biggest and the oldest building of Mohalla-Amber in the Bihar Sharif Town (Nalanda), is Tomb of Hazarat Makhdum Sultan Saiyad Shah Ahmed Charampose Teg Barhana Rohmatulla Alaib. He was born in the year 1236 and passed away in 1335 (according to Islamic calendar 657-776 Hizri). He is ranked to a very high order among other Sufi saints and Auliahs. Thousands and thousand of people participate in the ‘Urs’ celebrated here in memory of the Saint every year. Hazarimal Dharamshala, Betia (West Champaran): It is at Bettiah in the Lal Bazar area. Gandhi and his companions used to camp here and it was the epicenter of his “Satyagraha”. The State Govt. has declared this building a protected monument. The Betia Raj Kuteherry and the Dharmashala were Mahatama Gandhi stayed are well worth visit. Bhitharwa Ashram (West Champaran): It is a village in the Bettiah Sub-division under Gaunaha Block. This was one of the centre for social work selected by Gandhiji, when he was in Champaran in 1917. At present there is a Khadi Centre working under direct control of the Bihar Khadi Samiti. There is a Gandhi Ashram where Mahatma Gandhi had stayed during the Indian freedom straggle. Special tourist trains, boats, steamers, etc. Accommodation Hotels, motels, resorts, guest houses, home stays, etc. within 10 km radius of the identified tourist circuits. Caravans, camping facilities/tent accommodations, heritage homes, etc. MICE facilities Meeting hubs, convention centres, exhibition centres, event organizers, etc. at the tourist places. HRD Institutions Hotel management institutes, food craft institutes, travel & trade institutes, manpower training centres, tourist guide training centres, management institutes providing tourism sector related education and trainings, etc. Wayside amenity (On the National Highways and State Highways) Wayside amenity centres, wayside restaurants, snack bars, dhabas, pay-and-use toilets, utility shops, parking areas and shops of handloom and handicraft items produced in the state at tourist places. River Attraction Cruise, floating restaurant, floating cottages, water sports (like river rafting, para sailing), recreational facilities (like fishing, dolphin watching) etc. Entertainment Amusement parks, water parks, theme parks, craft village, ropeway, science center, museum, planetarium, etc. at tourist places.